Sue Wood performs an 11:30 a.m. concert at the Altgeld Hall tower on December 15. Sue Wood’s music is heard by dozens of University of Illinois faculty, staff, and students a day – but she’s seen by just a handful each week. But the Chimesmaster, who’s played The University Chime at Altgeld Hall since 1971, said she’s gotten enough attention nowadays to where many passersby know the daily 12:50- 1 p.m. concert is performed by her or one of her students. “Apparently it’s become quite popular this past year or so, because with 10 students I’m almost overwhelmed," she said. 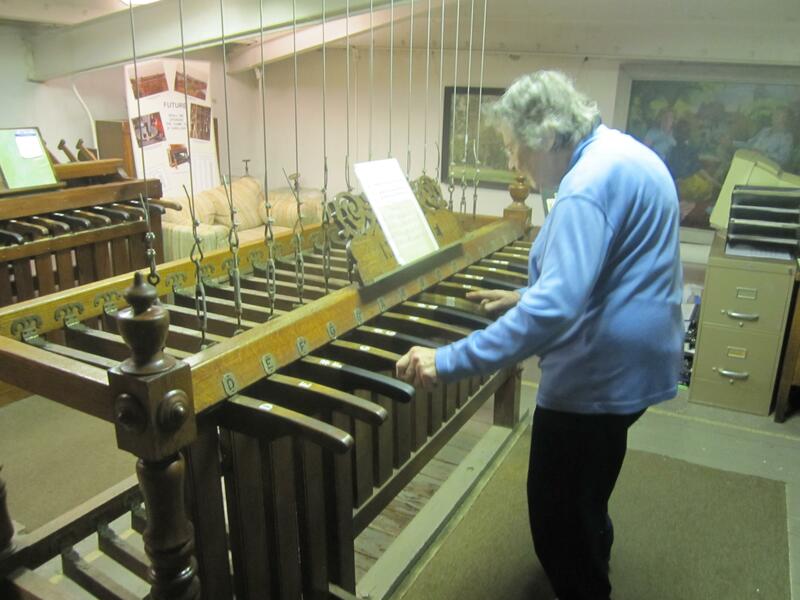 Wood started attending University Lutheran Church as a graduate student in 1966, as was asked to play the 25-bell carillon there. Altgeld’s 15 bells fall under the category of chime (since it has between 9 and 23 of them.) A bell tower containing between two and eight bells, is called a ring or peal. “The first two years I was (at Lutheran) and listening to that, I thought “I’ve never been near a bell tower before,” Wood said. A short time later, the pastor, who knew Wood played piano and organ, asked her to play. For about two years, she also took lessons in Springfield’s Washington Park, at the Rees Memorial Carillon. 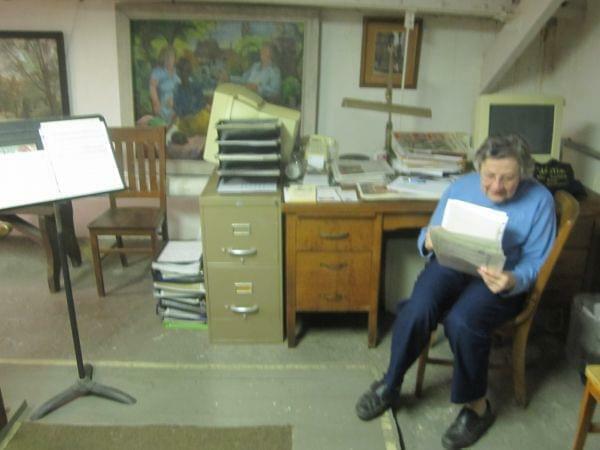 Aside from students, just two people have been responsible for Altgeld concerts since 1957 – Wood, and before her Albert Marien, who served as Chimesmaster for 37 years. Now in her 44th year, Wood starting filling in for Marien in the early 70’s when he wasn’t available. She was named Chimesmaster in 1995 when Marien was designated Chimemaster Emeritus. A retired environmental chemist, Wood also plays concerts of 15 to 30 minutes on other occasions like commencement, Quad Day during new student week, and Martin Luther King, Jr. Day. The traditional schedule is also set aside during finals week, including December 15, when Wood played an 11:30 am Christmas concert that included 'Jingle Bells', 'Blue Christmas', 'What Child Is This', and 'We Wish You a Merry Christmas'. But she started last Monday’s performance with some Illini spirit. The classes of 1914-21, who donated the money for the bells, designed the keyboard to play Illinois Loyalty, which means the keyboard wasn’t quite chromatically correct, missing a D-sharp and two F-naturals. Anyone wanting to play the bells can come up during the public tour time of 12:30 to 1 p.m. weekdays and try out the practice keyboard. Due to the size of the room just below the chimes, tours are limited to 25 people. Wood expects to retire from this voluntary job in the near future, saying the turret staircase at Altgeld is getting a bit more difficult. She celebrates her 81st birthday next Sunday. “The (U of I Urbana) Provost’s office is trying to come up with some means of perpetuating this,” she said. Wood estimates she’s missed no more than two weeks a year since 1971. She has a number of students, but says there’s no one ‘waiting in the wings’ to take her place.